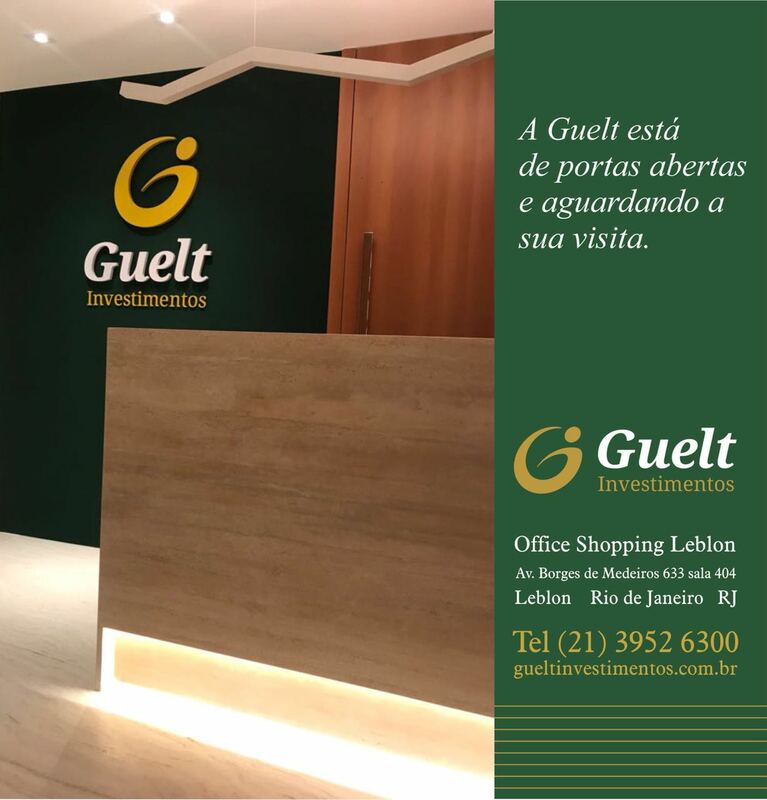 Excelente prato para o Natal. 1. Fazer uma pasta misturando o alho, o azeite e os temperos. 2. Envolver o lombo com esta pasta e deixar tomar gosto por 2 a 3 horas. 4. Assar o lombo em forno médio. 5. Quando estiver quase no ponto, tirar do forno e cortar o lombo em fatias, mas sem cortas totalmente. 6.Colocar uma fatia de queijo e uma de bacon entre as fatias do lombo. 7. 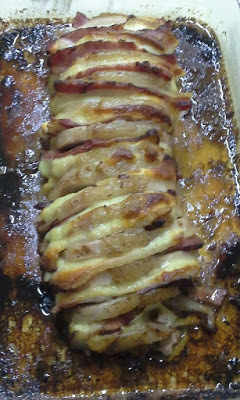 Levar de volta ao forno até derreter o queijo e dourar o bacon. 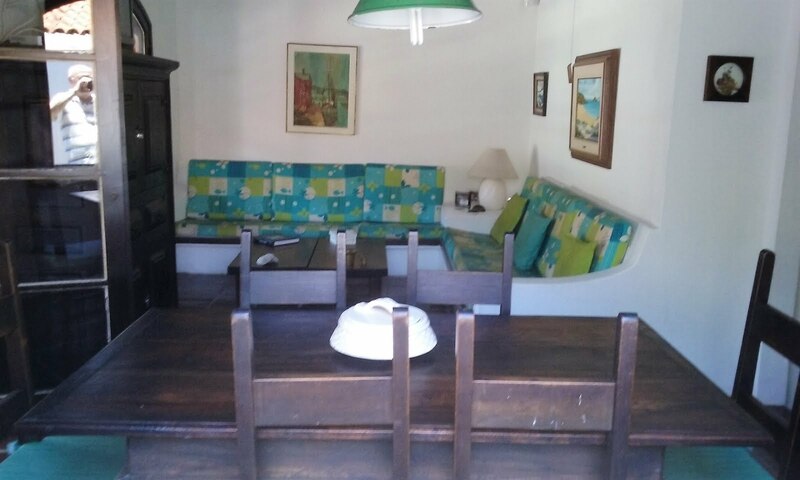 Mariângela traveled to south to see your family and enjoy the Farroupilha feast. In a lunch that brought together many members of his family, Neusa, the wife of his nephew Alexandre, made this Stuffed Pork Loin, which is different and delicious. Thank you Neusa for the recipe. 1. Make a paste by mixing garlic, olive oil and spices. 2. Wrap the loin with this paste and leave to marinate for 2 to 3 hours. 5. When the loin is almost done, remove from oven and cut into slices, but without cut completely the slices. 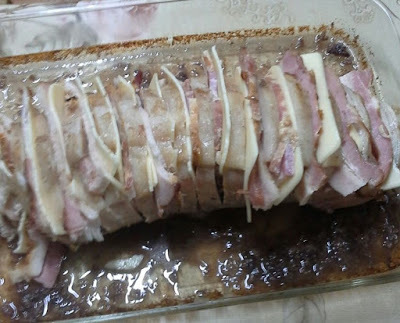 6.Put one slice of cheese and bacon between each slices of loin.